With a beautiful array of Victorian and Georgian architecture, the coastal town of Ramsgate is a perfect place for beautiful stylish shutters. 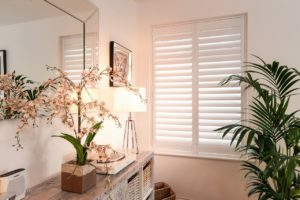 At Just Shutters, we pride ourselves on providing our customers with stunning bespoke shutters at the value prices of a larger company, with the care and customer service one would expect of a smaller one. For this reason, for Ramsgate plantation shutters there is simply no better choice than Just Shutters. Your local plantation shutter expert is David Stansbury (pictured below). 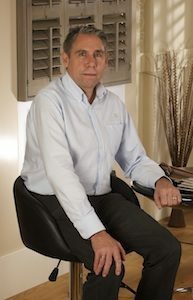 David, who is a Kent local, is passionate about ensuring each customer has a fantastic experience and ends up with a stunning bespoke shutter solution. – Reducing the level of noise from the outdoors. We ensure that all our shutters are truly unique, they come in a range of styles, louvre sizes and colour options – our Ramsgate plantation shutters expert won’t make you choose between style and practicality! He will give you a consultation, colour matching to suit any décor you have in your home. Get in touch with our friendly team to arrange a free home design visit with one of our dedicated experts. We will bring shutter samples to display against the windows in your home, and will discuss all options with you and answer any questions you may have. Call us on 01892 575 858 or follow the links below for more information, to arrange a visit and receive a quotation. Shutter installation in living room.